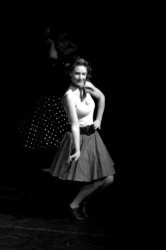 Learn the fast paced flicks, kicks and twists of the original style of jive dancing from the 50’s (as seen on Strictly Come Dancing). No partner needed! The emphasis of our dance classes are based on fun and are a great for improving confidence and fitness. No previous dance experience is required to take part, everyone is welcome!